Swarovski's history is both inspirational and informative. It tells the story of a boy from humble beginnings to the development of a multi-billion dollar company and how it was shaped by current world events. For over 120 years Swarovski has distinguished itself from its competitors by producing the world's best cut crystal. 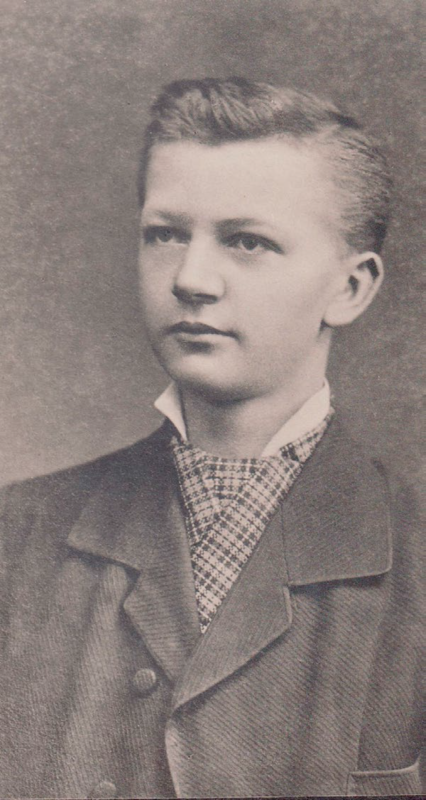 Daniel Swarovski was born in Bohemian Georgenthal (Now the Czech Republic) on October 24, 1862. Bohemia was the center for glass production and his father was a glass cutter who owned a small factory. It was there that Daniel became skilled in the art of glass-cutting. Daniel Swarovski marries Marie Weis (his partner’s sister) and they have 3 sons: Wilhelm, Fritz and Alfred. 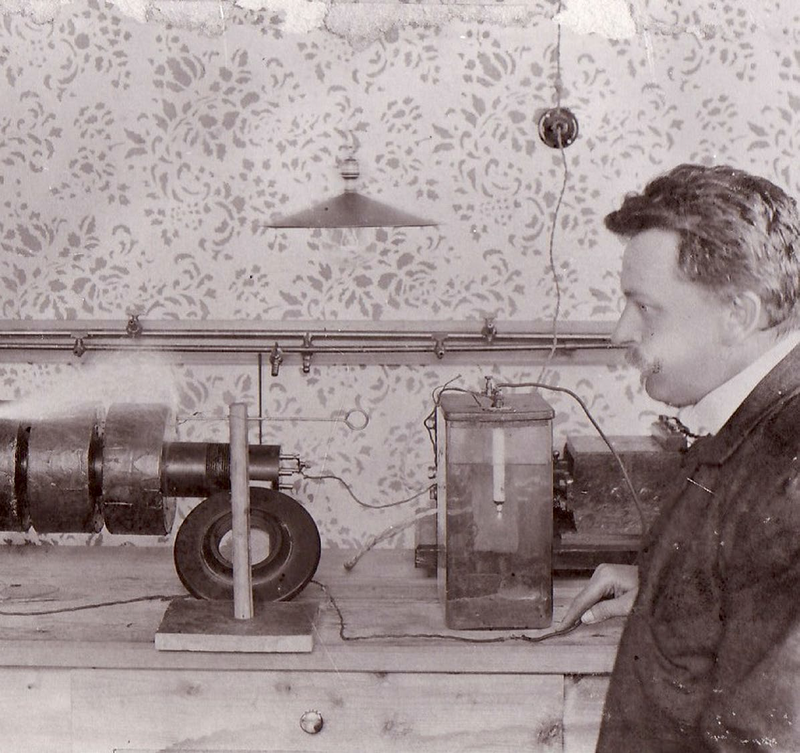 Daniel Swarovski registered a patent for a machine that could cut crystal to perfection, unlike current manual methods. The Swarovski company is founded in Wattens, Austria. Daniel Swarovski and his partners were seeking a new business location and this small town offered advantages: distance from imitators, good transport to Paris and possibility of using hydroelectric power. They leased out Rhomberg Loden Factory as their first production site (now currently known as Plant 2). Swarovski uses the Edelweiss as its logo. 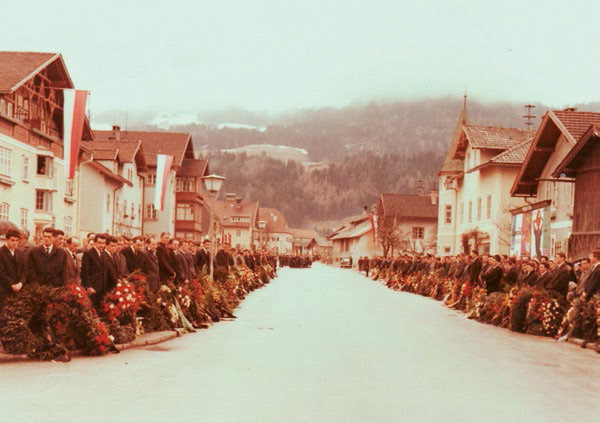 Known as a symbol of alpinism and purity, the Edelweiss is one of the most beloved flowers in Austria. Swarovski builds their own glassworks factory. As of 1913, no more glass was imported from Bohemia. The outbreak of WWI: Brothers Wilhelm and Fritz are called for military service. Production ceases until 1915, and when it is resumed they manufactured grinding disks under the brand name Tyrolit which were in short supply because of the war. 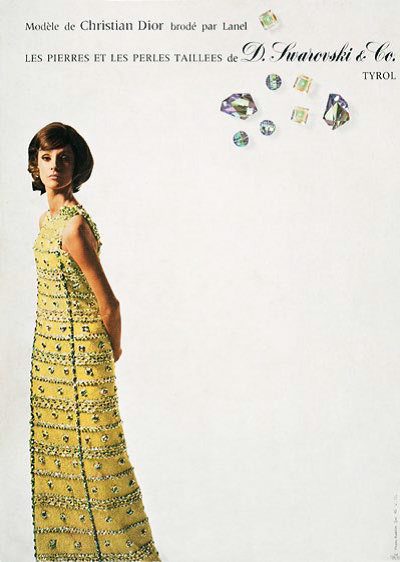 The post war “Golden Twenties” allowed for Swarovski crystal to be in high demand in fashion and dance. Family friend Ernest Lowenstein took charge of the distribution in the US. Swarovski establishes its own fire department which subsequently contained 2 potentially disastrous fires. Swarovski creates a crystal embellished band of materials in conjunction with leading couturiers and they registered a patent for it. (This was developed because the fashionable short hairstyles could not accommodate the decorative combs.) This later became known as “trimming”. This could be considered the first “trend driven innovation” by Swarovski. The Great Depression hit Swarovski hard and throughout this time, the factory completely closed for some brief periods. Production ceases again during WWII, and exports are put on hold. However, Ernest Lowenstein had accumulated sufficient stock to continue to supply major US jewelry designs during this time. SWAROVSKI OPTIK was officially established. Swareflex is founded and became a leader in road safety reflectors. Post war, crystal was a huge hit in haute-couture fashion and the silver screen. The material was a huge inspiration for Coco Chanel and crystal also made appearance in Hollywood movies like “Gentlemen Prefer Blonds” with Marilyn Monroe. 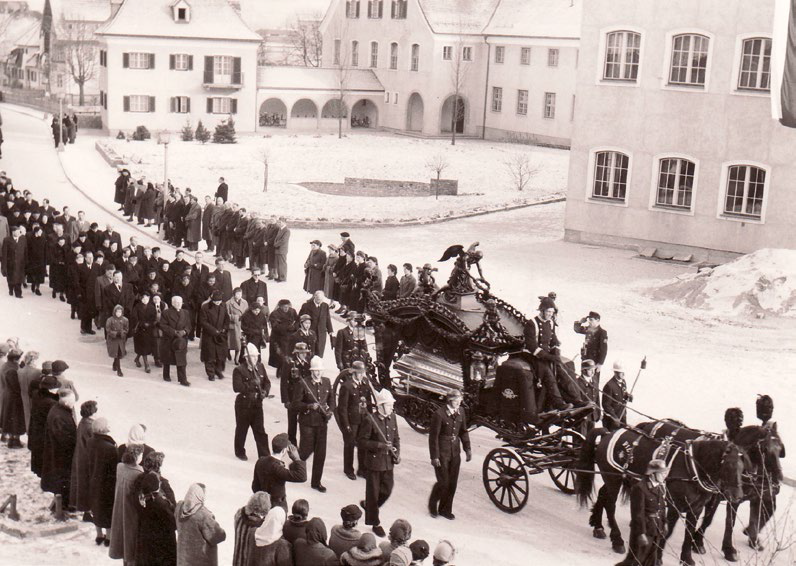 At the age of 93, Daniel Swarovski dies on January 23, 1956. This same year, the Aurora Borealis effect (AB) was developed (it was named after the Northern Lights). Christian Dior was the first designer who worked with Crystal AB for his collections. All 3 sons, Alfred, Wilhelm and Fritz all die soon after each other. The company is taken over by Daniel Swarovski II and Manfred Swarovski. 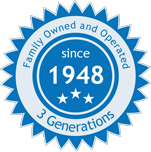 In 1974 hot fix technology was developed. Crystal figurines were created as souvenirs for the XXII Olympic Winter Games in Innsbruck. The chandelier components were given their own identity and called STRASS®. The release of the “Silver Crystal” figurines prompted a worldwide collecting boom and lead to the creation of the Swarovski Crystal Society. 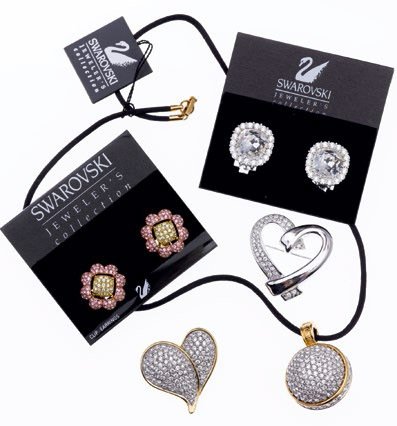 The Swarovski logo changed from the Edelweiss flower to the swan. 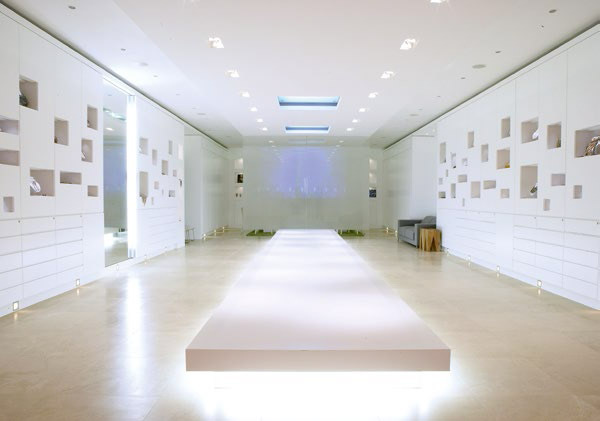 Swarovski creates the first Creative Service Center in Wattens to work more closely with designers and couture labels. More followed worldwide. Swarovski opened Swarovski Kristallwelten (Swarovski Crystal Worlds) as a unique sparkling shopping experience (designed by the multi-media artist André Heller). It is still one of Austria’s main tourist attractions. 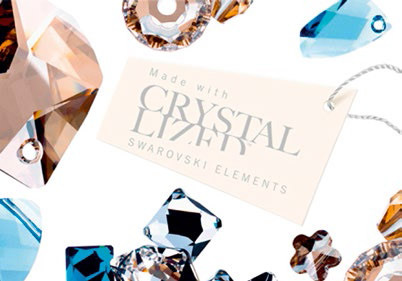 The “CRYSTALLIZED™– Swarovski Elements” was introduced for crystal elements. SIGNITY was also created for Swarovski’s semi-precious products. 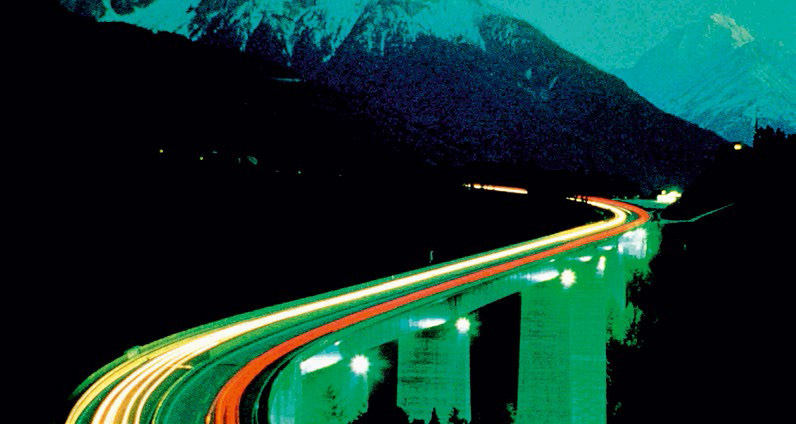 SCHONBEK Worldwide Lighting is bought by the Swarovski Lighting Business. Swarovski undergoes major brand redevelopment from “Made with SWAROVSKI ELEMENTS” to “Crystals from Swarovski®”. Swarovski is still 100% family owned and is now led by its Executive Board: Robert Buchbauer, Daniel J Cohen, Markus Langes-Swarovski, Mathias Margreiter and Nadja Swarovski. 1862: Daniel Swarovski was born in Bohemian Georgenthal (Now the Czech Republic) on October 24, 1862. Bohemia was the center for glass production and his father was a glass cutter who owned a small factory. It was there that Daniel became skilled in the art of glass-cutting. 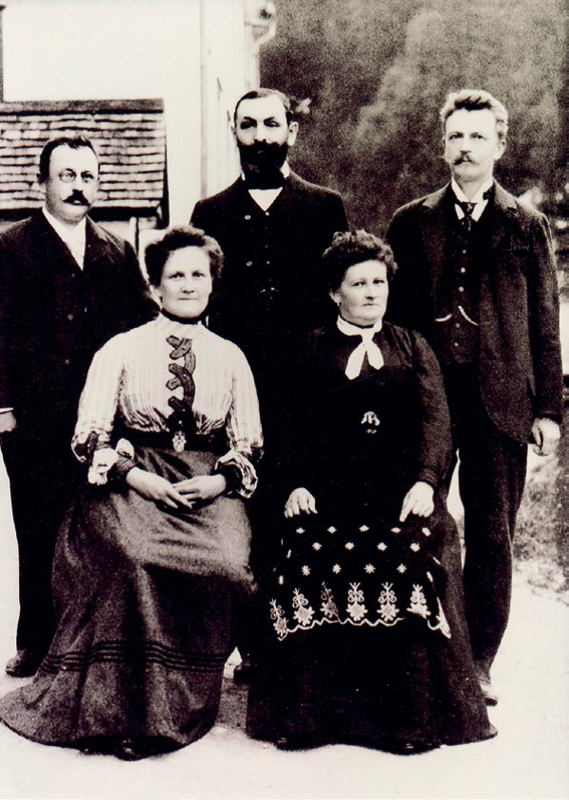 1887-1891: Daniel Swarovski marries Marie Weis (his partner's sister) and they have 3 sons: Wilhelm, Fritz and Alfred. 1891: Daniel Swarovski registered a patent for a machine that could cut crystal to perfection, unlike current manual methods. 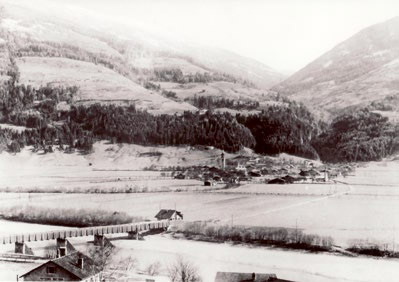 1895: The Swarovski company is founded in Wattens, Austria. Daniel Swarovski and his partners were seeking a new business location and this small town offered advantages: distance from imitators, good transport to Paris and possibility of using hydroelectric power. They leased out Rhomberg Loden Factory as their first production site (now currently known as Plant 2). 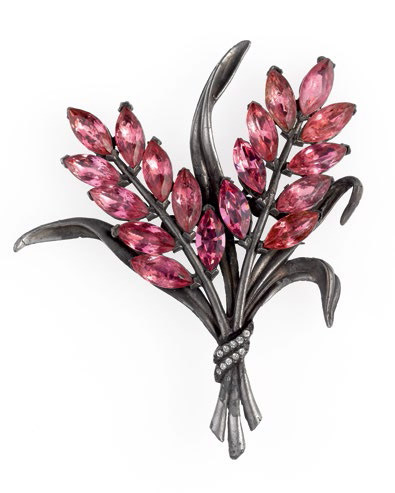 1899: Swarovski uses the Edelweiss as its logo. Known as a symbol of alpinism and purity, the Edelweiss is one of the most beloved flowers in Austria. 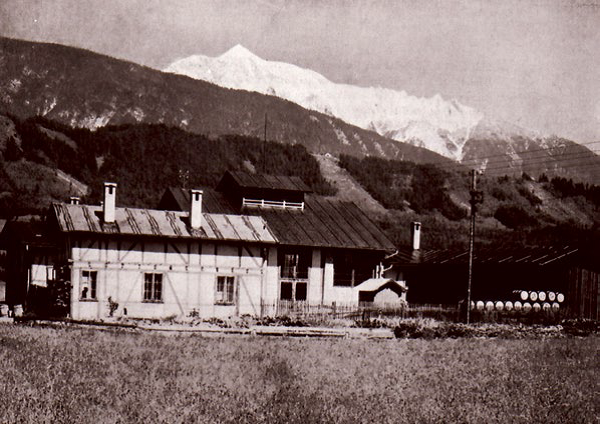 1910-1913: Swarovski builds their own glassworks factory. As of 1913, no more glass was imported from Bohemia. 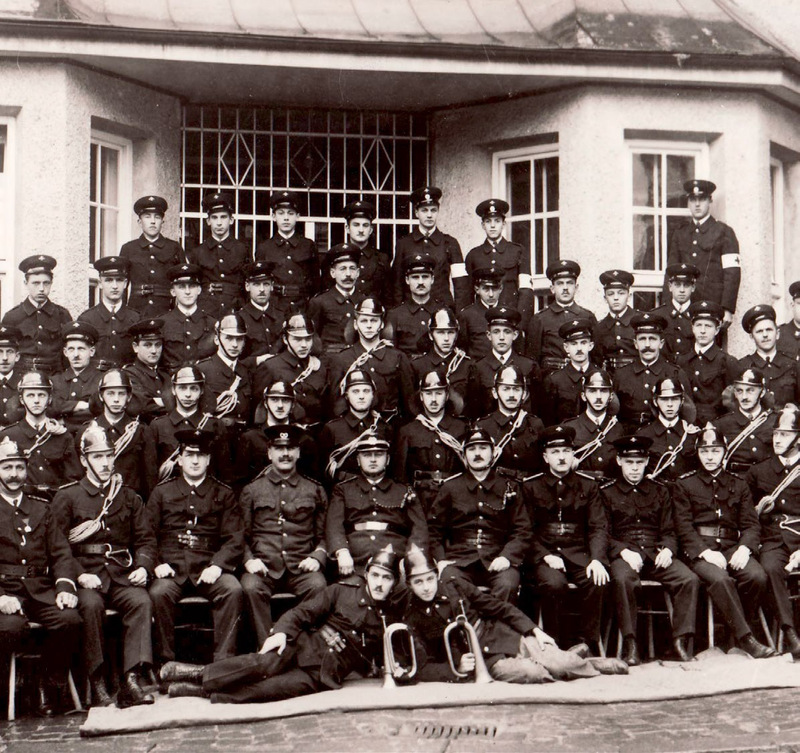 1914-1919: The outbreak of WWI: Brothers Wilhelm and Fritz are called for military service. 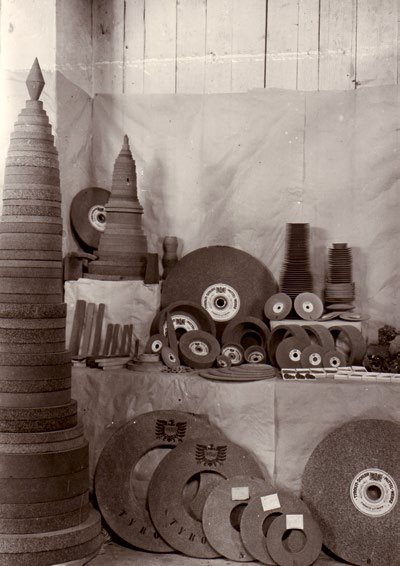 Production ceases until 1915, and when it is resumed they manufactured grinding disks under the brand name Tyrolit which were in short supply because of the war. 1920s: The post war 'Golden Twenties' allowed for Swarovski crystal to be in high demand in fashion and dance. Family friend Ernest Lowenstein took charge of the distribution in the US. 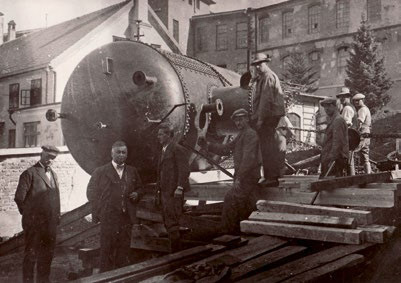 1921: Swarovski establishes its own fire department which subsequently contained 2 potentially disastrous fires. 1931: Swarovski creates a crystal embellished band of materials in conjunction with leading couturiers and they registered a patent for it. (This was developed because the fashionable short hairstyles could not accommodate the decorative combs.) This later became known as 'trimming'. This could be considered the first 'trend driven innovation' by Swarovski. 1932-1934: The Great Depression hit Swarovski hard and throughout this time, the factory completely closed for some brief periods. 1939-1945: Production ceases again during WWII, and exports are put on hold. However, Ernest Lowenstein had accumulated sufficient stock to continue to supply major US jewelry designs during this time. 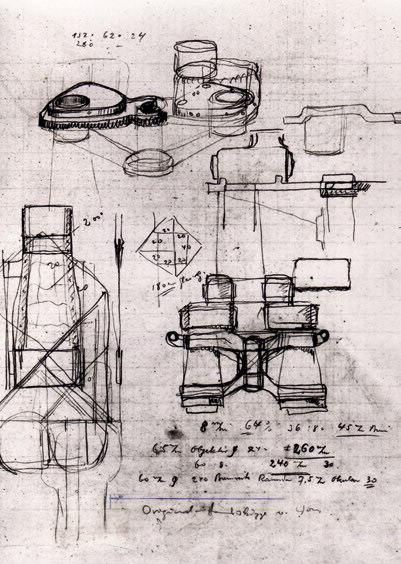 1949: SWAROVSKI OPTIK was officially established. 1950: Swareflex is founded and became a leader in road safety reflectors. 1950s: Post war, crystal was a huge hit in haute-couture fashion and the silver screen. The material was a huge inspiration for Coco Chanel and crystal also made appearance in Hollywood movies like 'Gentlemen Prefer Blonds' with Marilyn Monroe. 1956: At the age of 93, Daniel Swarovski dies on January 23, 1956. This same year, the Aurora Borealis effect (AB) was developed (it was named after the Northern Lights). Christian Dior was the first designer who worked with Crystal AB for his collections. 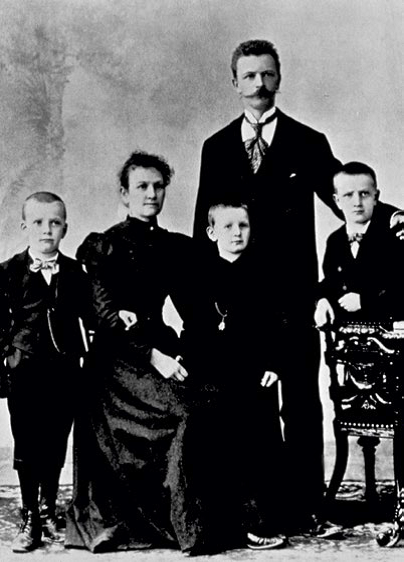 1960-1962: All 3 sons, Alfred, Wilhelm and Fritz all die soon after each other. The company is taken over by Daniel Swarovski II and Manfred Swarovski. 1974-1976: In 1974 hot fix technology was developed. Crystal figurines were created as souvenirs for the XXII Olympic Winter Games in Innsbruck. 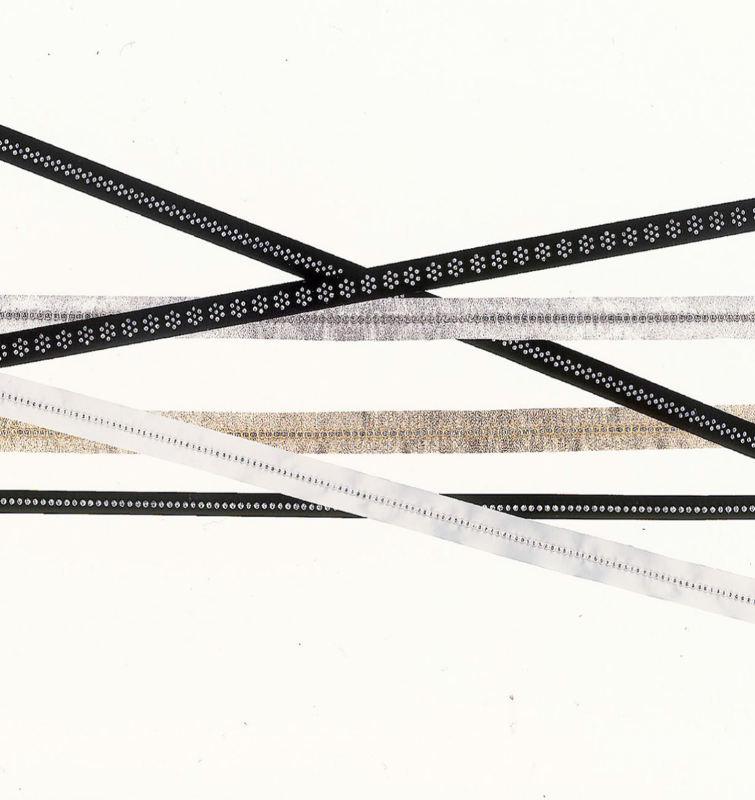 1977: The chandelier components were given their own identity and called STRASS™. 1987: The release of the 'Silver Crystal' figurines prompted a worldwide collecting boom and lead to the creation of the Swarovski Crystal Society. 1989: The Swarovski logo changed from the Edelweiss flower to the swan. 1994: Swarovski creates the first Creative Service Center in Wattens to work more closely with designers and couture labels. More followed worldwide. 1995: Swarovski opened Swarovski Kristallwelten (Swarovski Crystal Worlds) as a unique sparkling shopping experience (designed by the multi-media artist André Heller). It is still one of Austria's main tourist attractions. 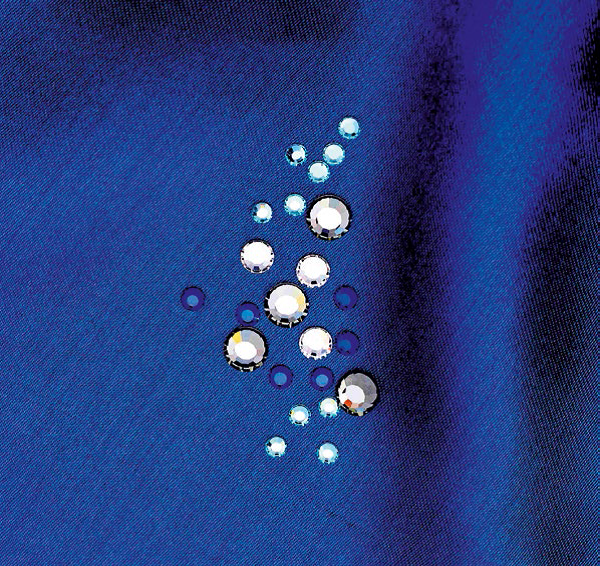 2006: The 'CRYSTALLIZED™ - Swarovski Elements' was introduced for crystal elements. SIGNITY was also created for Swarovski's semi-precious products. 2007: SCHONBEK Worldwide Lighting is bought by the Swarovski Lighting Business. 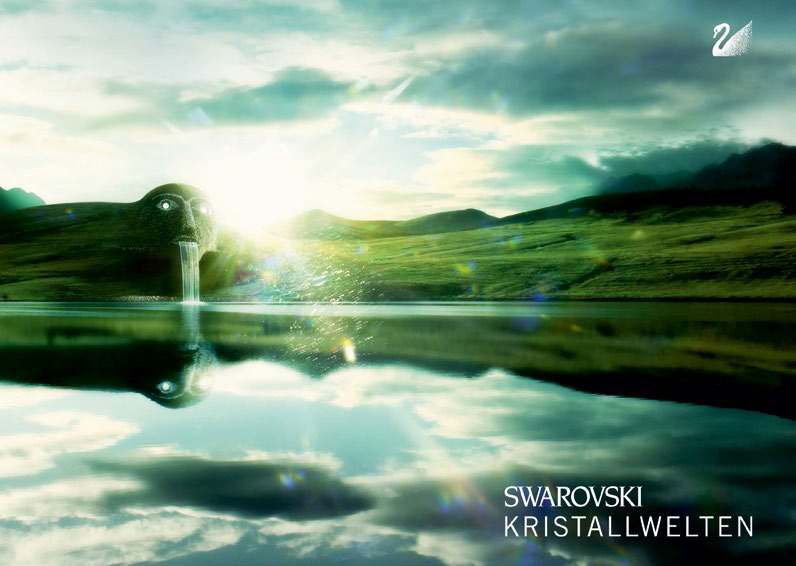 2014: Swarovski undergoes major brand redevelopment from "Made with SWAROVSKI ELEMENTS" to "Crystals from Swarovski®". 2016: Swarovski is still 100% family owned and is now led by its Executive Board: Robert Buchbauer, Daniel J Cohen, Markus Langes-Swarovski, Mathias Margreiter and Nadja Swarovski.